Zotero is a free research management tool that saves and keeps track of your sources with one click. This easy-to-use software can be used online or downloaded to your computer to organize all of your research in one place. Easily save images, webpages, videos, and library resources in one place. This is also a great tool for group projects! 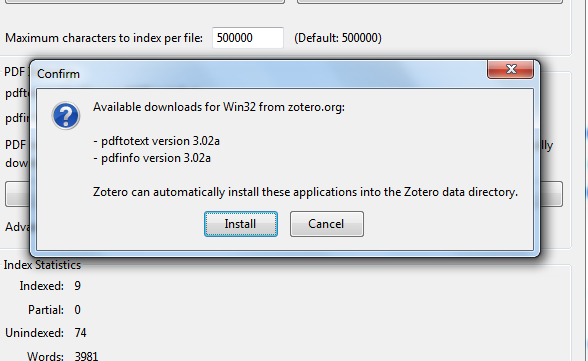 Zotero's support site provides detailed tutorials and troubleshooting, including how to get started and how to use Zotero's add-on for Microsoft Word. There appears to be an issue when saving articles from ProQuest databases (ProQuest Central, ABI/INFORM, and others listed here). If you are on campus and try to save an article from ProQuest, it may not save the proxy URL, which is what we use to recognize you as a Hodges student or employee to give you access to articles. Without this URL, you may get an error page or a page that asks you to enter a barcode. This is an easy fix! If you cannot access your articles from home, you will need to edit the URL. Click on the Z icon in your browser to open up the Zotero client. Select the item you need to edit and scroll down in the info pane on the right until you see the URL field. You should now be able to open your article. If you need additional help, be sure to ask a librarian. If you click on an article you've saved and notice that Zotero didn't grab the information you need, such as the author or the title, there is a tool that can grab that information. Zotero can search Google Scholar to fill in the information for PDFs you have saved. Click on the Z icon in your browser to open the Zotero client. Right click on the article that is missing information. This is only for PDF copies of articles. For all others, contact a librarian. Select Retrieve Metadata for PDF. A box may appear stating that you need to install PDF Tools. Click Open Preferences. A box will pop up listing the available downloads. Click Install. The applications are now installed. Click OK to exit out of your preferences. Now, right click on your article and select Retrieve Metadata for PDF again. If Zotero was able to find your information in Google Scholar, you will notice that your missing information will be filled in. If you are still missing information, contact a librarian for help.